Designed for use in the steel, automotive, electronics, and other manufacturing industries, the GX53 microscope delivers crisp images that can be difficult to capture using conventional microscopy observation methods. 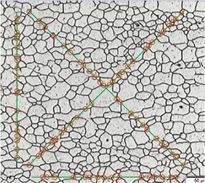 When combined with OLYMPUS Stream image analysis software, the microscope streamlines the inspection process from observation to image analysis and reporting. 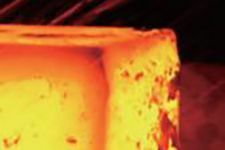 Quickly observe, measure, and analyze metallurgical structures. Even novice operators can comfortably make observations, analyze results, and create reports. Our proven optics and imaging technology deliver clear images and reliable results. Choose the components you need for your application. The GX53 microscope’s various observation capabilities provide clear, sharp images, so you can reliably detect defects in your samples. OLYMPUS Stream image analysis software's new illumination techniques and image acquisition options give you more choices for evaluating your samples and documenting your findings. 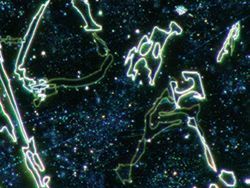 MIX technology combines darkfield with another observation method, such as brightfield or polarization, to enable you to view samples that are difficult to see with conventional microscopes. The circular LED illuminator has a directional darkfield function where one or more quadrants are illuminated at a given time, reducing a sample’s halation to better visualize surface texture. The substrate layers and through hole are invisible. All of the components are clearly represented. The color information is eliminated. Both the material color and texture are visible. With multiple image alignment (MIA), you can stitch images together simply by moving the XY knobs on the manual stage—a motorized stage is optional. 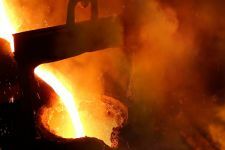 OLYMPUS Stream software uses pattern recognition to generate a panoramic image, making it ideal for inspecting carburizing and metal flow conditions. Adjust the stage position using the XY knob. The full condition of metal flow can be seen. OLYMPUS Stream software’s extended focus imaging (EFI) function captures images of samples whose height extends beyond the depth of focus. EFI stacks these images together to create a single all-in-focus image of the sample. Even when analyzing a cross-section sample with an uneven surface, EFI creates fully-focused images. EFI works with either a manual or motorized Z-axis and creates a height map to visualize structures. Adjust the objective’s height with the focusing handle. EFI automatically captures and stacks multiple images to create a single, in-focus image of the sample. Fully focused image is created. Using advanced image processing, high dynamic range (HDR) adjusts for differences in brightness within an image to reduce glare. It also helps boost the contrast in low-contrast images. HDR can be used to observe minute structures in electric devices and identify metallic grain boundaries. Both dark and bright areas are clearly exposed using HDR. Brightfield: a common observation method to observe reflected light from a sample by illuminating it straight on. Darkfield: observe scattered or diffracted light from a sample, so imperfections, such as minute scratches or flaws, clearly stand out. Differential interference contrast (DIC): an observation technique where the height of a sample is visible as a relief, similar to a 3D image with improved contrast; it is ideal for inspections of samples that have very minute height differences, including metallurgical structures and minerals. 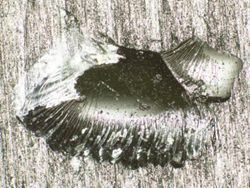 Polarized light: a technique that highlights a material’s texture and crystal condition to view metallurgical structures, such as the growth pattern of graphite on nodular cast iron and minerals. MIX observation: combines brightfield and darkfield to show a sample’s color and structure. 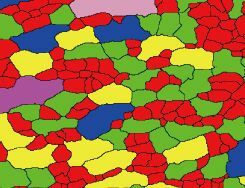 The above MIX observation image clearly reproduces the device’s color and texture as well as the condition of the adhesive layer. Together, the GX53 microscope and OLYMPUS Stream software support metallurgical analysis methods that comply with different industrial standards. With step-by-step operator guidance, users can analyze their samples quickly and easily. 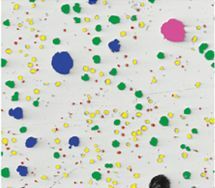 The Count and Measure solution uses advanced threshold methods to reliably separate objects, such as particles and scratches, from the background. More than 50 different object measurement and classification parameters are available including shape, size, position, and pixel properties. Measure the grain size and analyze the microstructure of aluminum, steel crystal structures, such as ferrite and austenite, and other metals. Evaluate the graphite nodularity and content in cast iron samples (nodular and vermicular). Classify the form, distribution, and size of graphite nodes. 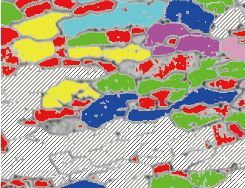 Classify nonmetallic inclusions using an image of the worst field or worst inclusion found manually in the sample. Easily compare live or still images with auto-scaled reference images. This solution includes reference images in accordance with various standards (additional reference images can be purchased separately). Multiple modes are supported, including live overlay display and side-by-side comparison. Use the GX53 microscope and OLYMPUS Stream software to acquire images of diverse samples, conduct a variety of analyses, and generate professional reports. Coded functions integrate the microscope’s hardware settings with OLYMPUS Stream image analysis software. The observation method, illumination intensity, and magnification can be recorded and stored with the associated images. The settings are easily reproduced so that different operators can conduct the same quality inspections with limited training. The software guides users step-by-step through an inspection process that complies with the chosen industrial standard. Operators can conduct advanced analysis simply by following the on-screen guidance. Creating a report can often take longer than capturing the image and taking the measurements. OLYMPUS Stream software provides intuitive report creation to repeatedly produce sophisticated reports based on predefined templates. *1 Slider for exclusive use of this observation is required. *2 MIX observation configuration is required. (99 °F), and to 50% at 40 °C (104 °F).